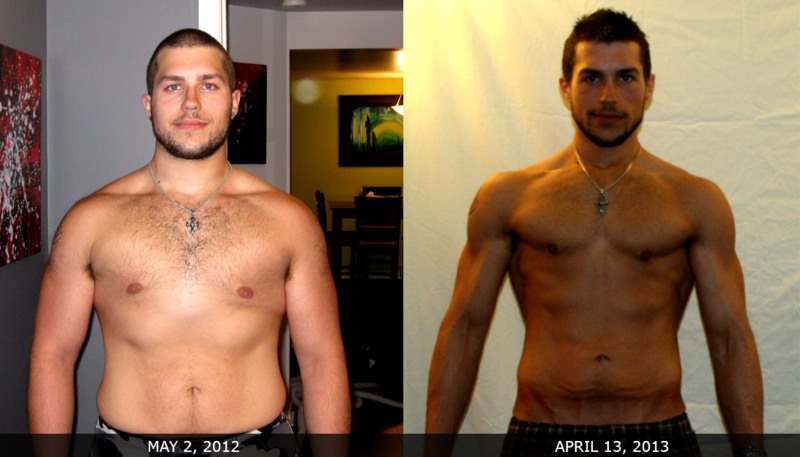 Today we get to hear from Mike Cerantola who placed 10th in our last 12-Week Transformation contest. 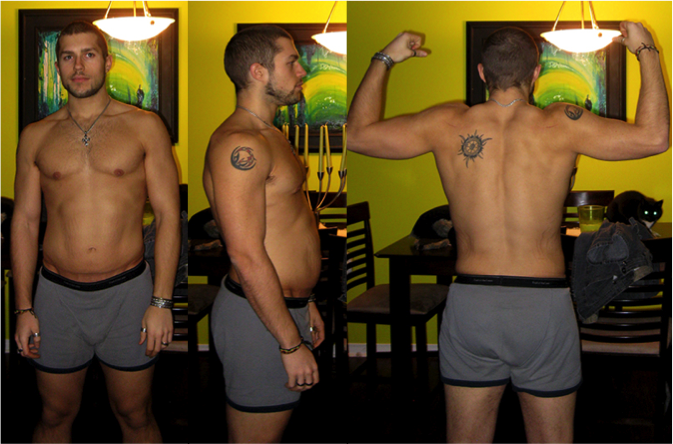 Mike’s Transformation Journey begans when he received a severe “wake-up call” from his doctor. He was 18 at the time and had just weighed in 315 pounds. Prompted to take action he began to look for weight loss solutions. Bound and determined, he found results in playing a popular video game called “Dance Dance Revolution.” His results were uncanny, he lost more than 85 pounds in about 3 months! However it wasn’t until one year ago, when Mike would receive his “Golden Birthday Gift.” He was first introduced to the Adonis Golden Ratio by a fellow “Sister in Iron” Jessie Trubiano, VT6 contest winner from the Venus Index. Mike picked up the Muscle Building Foundation and Eat Stop Eat Plans and catapulted his transformation even further than he could imagine. Scroll down to listen to how Mike was able to make more progress in one year compared to the previous seven! AT10 was a completely different shift of mentality from AT9. I spent most of my time focusing on making my training and gym times a fun habit instead of viewing going to the gym as an ‘errand’, or ‘chore’. I had no problem adapting to that,unfortunately I did not place. I realized that even though I was pushing it really hard in the gym, I had gotten cocky and stopped using myfitnesspal to count calories and just assumed “yeah yeah, I’m always between 1500-1800”. I became the victim instead of the victor. AT10 was all about keeping my diet in check, adapting ESE to fit with my lifestyle and schedule. Coming from a 315 lb background where I used to eat well over 3-4k cals a day, cutting from 1500 to 1300 and finally to 1000 for the last 3-4 weeks was probably one of the most difficult ongoing mental battles of my overall transformation. It’s easy to “auto-pilot” to the gym and then you’re there so you do your workout, but it is very difficult to “auto-pilot” not eating when you’re at home, not keeping too occupied, and having a mind that always thinks and reverts to food. After placing in AT10 I am reflecting on this experience with the knowledge, willpower, and dedication to not fall off the bandwagon. I reached my golden waist, I have gotten used to eating ~1300/day, and now my next journey is maintaining my waist while slowly developing an extra 3 inches in my shoulders, which should take a couple of years. I placed a quick before and after side-by-side from 1 year ago to my 1st day of AI 3.0, compared to now, and I am proud to say that I have achieved a level of physique that does not make me anywhere remotely near as self conscious as I used to be. The Adonis Lifestyle has changed my life. I feel I’ve began to develop good habits that I will use as a takeaway and apply to the remainder of my lifestyle…Leanness is awesomeness!